"All prisons are mental prisons. They lock from the inside. so only you can let yourself out." For five years, John Wareham, author of the best-selling Secrets of a Corporate Headhunter, has been leading a double life. Four days a week he identifies and develops leaders for major international corporations. On the fifth day he heads to New York's infamous Rikers Island - the world's largest penal colony-to teach the life altering class that he created for the inmates. To his surprise, John found that many of the negative thinking patterns that led to the incarceration of his students were also pervasive among executives, undermining their careers and private lives. 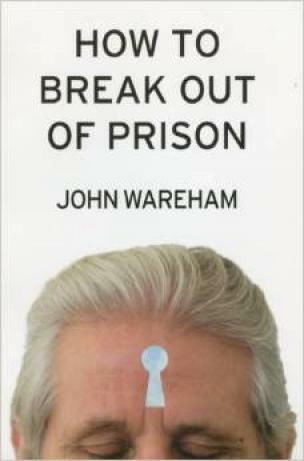 Now, lacing dramatic real-life stories with penetrating insights, John shows how individuals from every walk of life become trapped in mental prisons, and then reveals precisely how to break free and create the life you were meant to live. John's central concept is captured in three profound sentences: "All prisons are mental prisons," he says. "They lock from the inside. You lock yourself in and you own the key, so only you can let yourself out." You're holding such a key right now. Discover the invisible iron balls that have you imprisoned. Conspire with the three best friends you never knew you had. Transmute the iron balls into magic circles. Stride directly into the wide blue yonder. "Invigorating writing . . . bold ideas . . . charm . . . intricate logic . . . a fresh perspective." "This astonishing new book showcases John Wareham's gift for unlocking the mind and showing us how to live the life of our deepest dreams. It is a wise, witty truly transformational work that everyone should read." "A great book-a savvy, inspirational almanac for chiefs and saints, charlatans and convicts, and everyone in between." "A revelatory, moving, insightful, ingenious, canny, life-altering work, uniquely honed in the disparate corridors of money and power, hope and despair."